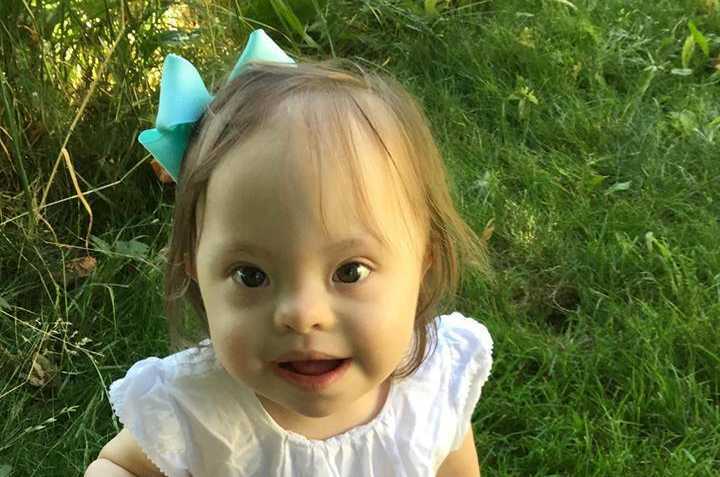 Despite the unmeasurable joy so many people with down syndrome bring to the world, there’s still a stubborn persistence in the medical community to advise abortion when down syndrome is discovered during pregnancy. In Iceland, they have boasted about being the first country to abort 100% of down syndrome babies. The reaction to a recent post by Faithwire shows just how wrong this practice is, and how beautiful people with down syndrome truly are. After Faithwire shared a precious video earlier this week of a young boy with Down syndrome passionately belting out Whitney Houston’s “I Have Nothing” in the back seat of a car, parents of down syndrome children began sharing photos of their beautiful loved ones, and they are simply perfect. Any video that captures the beauty and humanity of a Down Syndrome child is a winner in my book. It is a sad and shameful fact that the vast, vast majority of Down Syndrome children never see the light of day because they are snuffed out in the womb. Almost the entire Down Syndrome population has been eradicated by Planned Parenthood and other abortion clinics. But these children are human beings. Just as human as you or me. And they are capable of finding joy in life, despite their difficulties. In fact, it seems they are much more capable than most of us. As Good Housekeeping reported in February, conservative estimates show 67 to 85 percent of women have an abortion after a prenatal Down syndrome diagnosis. According to the Down Syndrome Diagnosis Network, there are 250,000 people currently living in the United States with Down syndrome, and while the average life expectancy for such individuals was just 25 years old in 1983, it stands at 60 years old today. Additionally, 99 percent of parents report not regretting their decision to raise their child. While there are certainly challenges that come with raising a child with special needs, it was refreshingly clear from the comments on Walsh’s post that public perception of Down syndrome is changing for the better, and the world is a better place with these wonderful people in it. Natalie Larsen Pope shared this adorable photo of her son – it’s his 4th birthday! One woman shared a photo of her son and her wife, who have been married ten years and live in their own house. There are so many more who posted in the comments section. Check the post and see for yourself – trust us, you will be glad you did! In the aftermath of the viral video’s epic success, Dane’s aunt, Jeanne Miller, gave an interview to ABC News in which she surmised why her nephew’s lighthearted moment has brought joy to so many people. Dane’s mother Danna, meanwhile, shared that her son has been such a blessing to her family. While Miller was unaware of her son’s condition in utero and says she would have kept the pregnancy regardless, there are far too many stories of children with Downs never getting a chance at life.